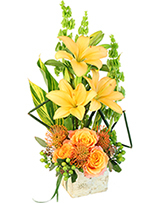 Birch Wood Box With Foam, Ginger Leaves, Equisetum, Free Spirit Bicolored Peach Roses, Bells Of Ireland, Peach Pincushion Protea, Green Hypericum Berries, Yellow Lilies. Rectangular Vase, Green Dendrobium Orchids, Small Monstera Leaf, Lycopodium. 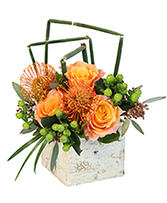 Birch Wood Box With Foam, Foliage: Seeded Eucalyptus, Lily Grass, Equisetum, Orangeyellow Free Spirit Roses, Green Hypericum, Orange Pincushion Proteas. 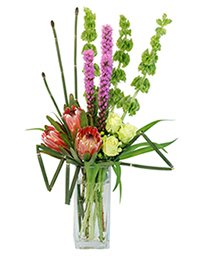 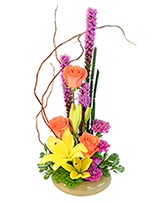 Tall Square Vase, Equisetum, Lily Grass, Pink Protea, Green Roses, Green Hypericum, Purple Liatris, Bells Of Ireland. 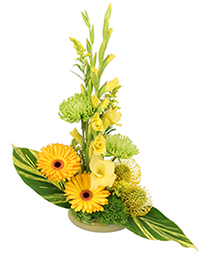 Lotus Bowl, Variegated Ginger Leaves, Yellow Gladiolus, Green Trick Dianthus, Green Fuji Mums, Yellow Pincushion Protea, Yellow Gerbera, Yellow Solidago. 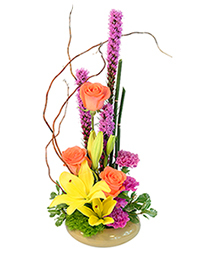 Plastic Lotus Bowl, Foliage: Equisetum, Curly Willow, Variegated Pittosporum, Purple Liatris, Peach Wow Roses, Yellow Asiatic Lily, Green Trick Dianthus, Purple Carnations. 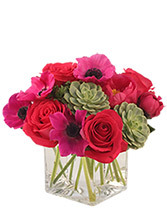 Cube Vase, Foliage: Salal, Hot Pink Roses, Hot Pink Peonies, Fuchsia Anemones, Small Succulents. 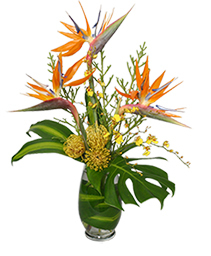 Celebrity Vase, Small Monestera Leaf, Dracaena Leaves, Lycopodium, Yellow Mini Pincushion Proteas, Birds Of Paradise, Yellow Oncidium Orchids. 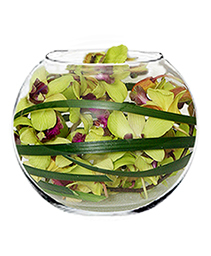 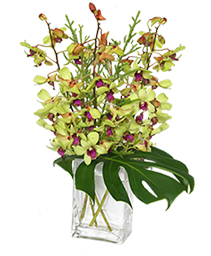 Bubble Bowl Vase, Green Dendrobium Orchids, Lily Grass. 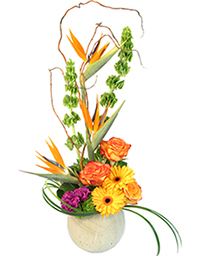 Stone Bowl, Foliage: Aspidistra Leaves, Lily Grass, Curly Willow, Bells Of Ireland, Green Tick Dianthus, Orange Birds Of Paradise, Yelloworange Gerberas, Purple Carnations, High Magic Bicolored Yelloworange Roses. 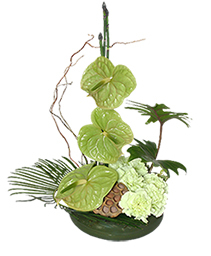 Green Plastic Ming Dish, Wet Floral Foam, Pale Green Carnations, Green Midori Anthuriums, Equisetum I(Horsetail)i, Xanadu Philodendron Leaves, Sago Palm Frond, Lotus Pod, Sheet Moss, Curly Willow.